Enjoy what you have, not what you could have. What’s next? A cake as big as stupid fox? Well.....that's one way to spend a birthday. Am I the only one who saw on the forth wall another thought bubble bottom? 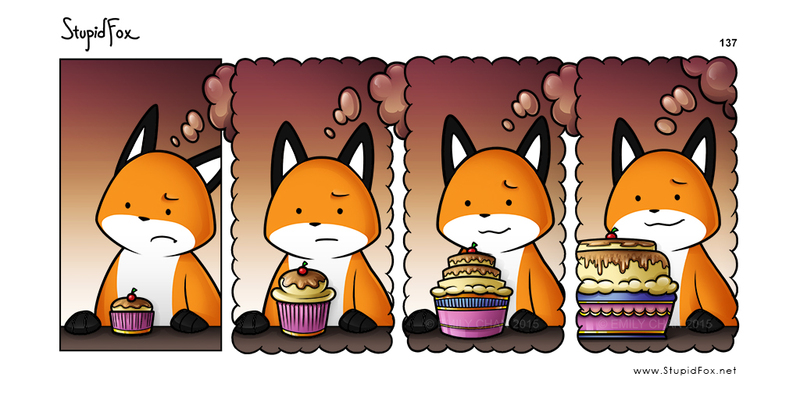 How is it that S-fox eats SOO MUCH CAKE But never gain weight!!!!!!!!!!!!!!!!!! !